Bill Irwin mines his performance skills as a master clown and Tony Award winning actor to explore an actor’s relationship to Samuel Beckett. Bill Irwin can’t escape Samuel Beckett. He has spent a lifetime captivated by the Irish writer’s language. In this intimate evening, Irwin will explore a performer’s relationship to Beckett, mining the physical and verbal skills acquired in his years as a master clown and actor. Irwin’s approach to the comic, the tragic, to every side of Beckett’s work will allow audiences to experience the language in compelling new ways. Whether you’re encountering the Nobel Prize winner’s writing for the first time, or building on a body of Beckett knowledge, this dynamic showcase is not to be missed. Irish Repertory Theatre is proud to present the New York Premiere of "On Beckett," a new work by master clown, Tony Award-winning actor, and MacArthur, Guggenheim, and Fulbright Fellow Bill Irwin. Every performance day, on a first-come, first-served basis, a limited number of $25 mobile Rush tickets will be made available to "On Beckett." Unlock this feature below to gain access to exclusive tickets. Irish Repertory Theatre asks that you help spread the word by sharing a post on social media. There will be no mobile Rush on Saturday 9/29 at 3pm, Sunday 9/30, Tuesday 10/2, Wednesday 10/3, or Friday 10/19 8PM. Company may offer programs whereby the Company would make available certain features of the Services when you share information about the Services through an SNS or click on the “Unlock without sharing” button in the Application. 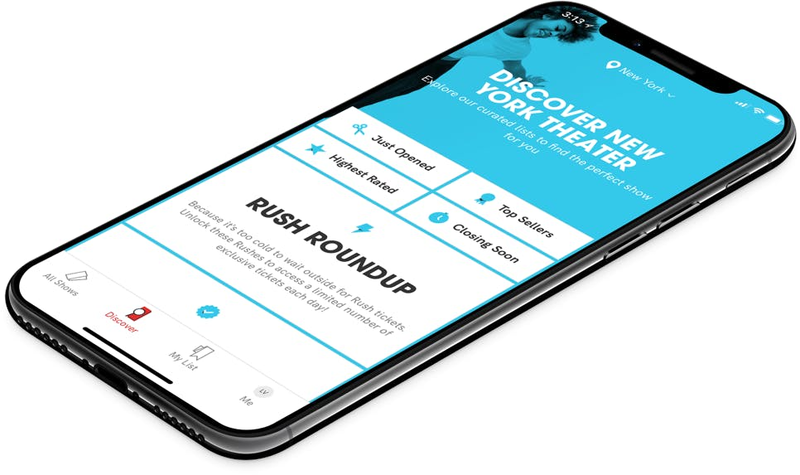 When you are considering purchasing a ticket for a specific show or after you purchase a ticket, if you select the “Share” button in the Application, Company will make available to you a personalized link to a Digital Property with text stating, for example, “Check out On Beckett on TodayTix! I’m thinking of going…” or something similar, which you may choose to share with your friends via SNS. Once you have shared the personalized link through an SNS using the Application or selected the “Unlock without sharing” button in the Application, Company will make available to you the RUSH feature, which will provide you with otherwise unavailable offers for tickets to live events occurring in the next week. The opportunity to take advantage of these offers is only available to users who share a personalized link to an SNS through the Application or select the “Unlock without sharing” button in the Application.